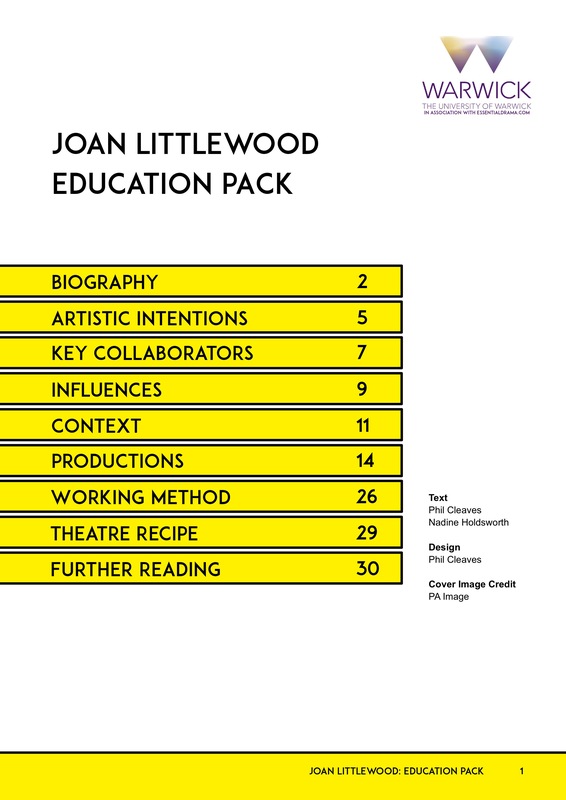 This education pack, funded by Warwick University, has all you need to know about the theatre of Joan Littlewood. Photographs of the original productions illustrate the breadth of her work alongside synopses and descriptions of their style. 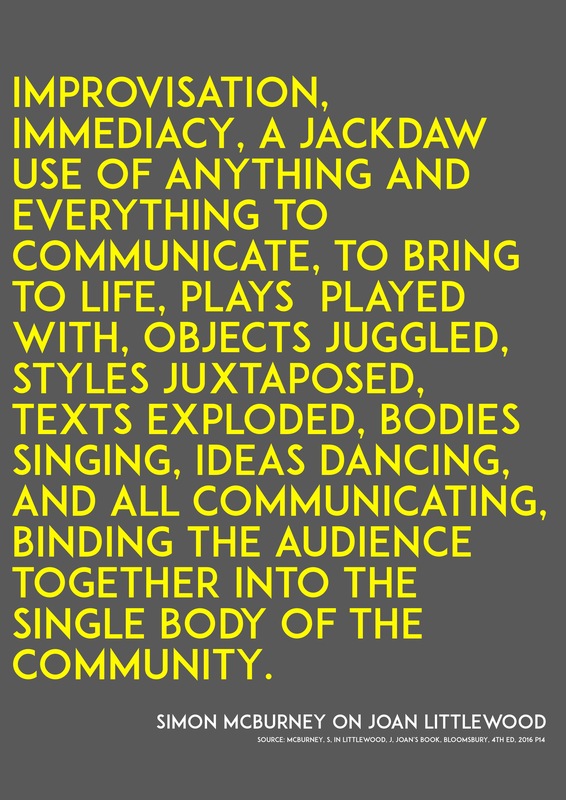 Extracts from Nadine Holdsworth's Routledge Performance Practitioner book Joan Littlewood give details on Littlewood's working method. 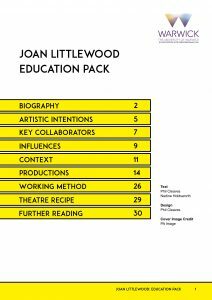 The 'Theatre Recipe' gives some ideas for creating work inspired by Joan Littlewood's legacy. 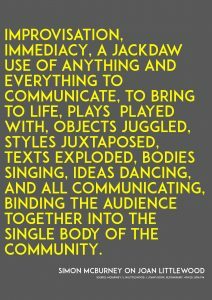 All of this is completely free but we do have a suggested donation of £2 to support Essential Drama. Really enjoyed the article in ISTA’s ‘Scene’ and am eager to read more. Thank you for sharing this on here, I look forward to reading through!